Resumes are meant to show your professionalism and experience to your potential employers. Resumes are detailed materials that highlight experience, achievements and your skill set according to the job you are applying to. From the summary section, to the education you will find information of how to go about it on the internet but one section that is mostly left vague and you do not really know what to do with it is the reference section. The questions that strike the mind is whether the reference information is vital on the resume page nor not? Well, the “references on request” work more than you think. There are a number of reasons why references should not be a part of your professionally written resume. Personal information is valuable. To you and to everyone. 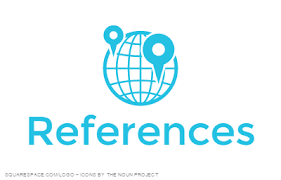 References are to verify information about a candidate from a past employer or a teacher about the past performance and the relevance of the job applied. The major reason of not listing references on your resume is that your resume does not reach the hiring manager directly. It rotates through a number of hands and then reaches the top. By not putting personal information of others on your resume, you are saving yourself from any kind of issues that could arise in case the information is present. Wondering How? Well avoiding this information on your resume exposes you to the employer a minimum of three times. First impression through your CV, second when you face the interview and next when the employer asks for the references. The more the employer hears and reads about you, the longer you will stay in their mind. Since the references are going to take a considerable amount of your resume space, employers might find it cluttered. Remember your first impression has to be great. No compromises there. When you keep references on request, you have enough time to prepare for the right resources as references.